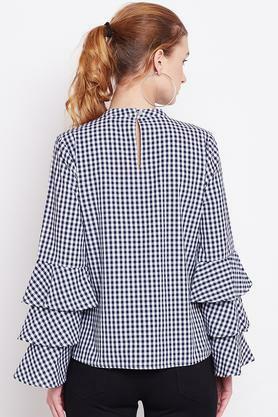 Give yourself an ultra-modern casual look with this top from Marie Claire. 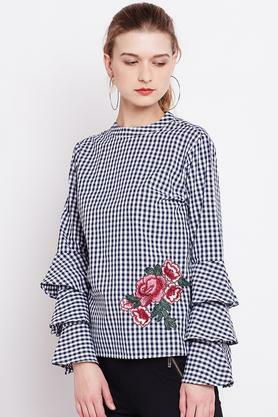 Made of georgette fabric, this top is comfortable to wear and skin friendly as well. 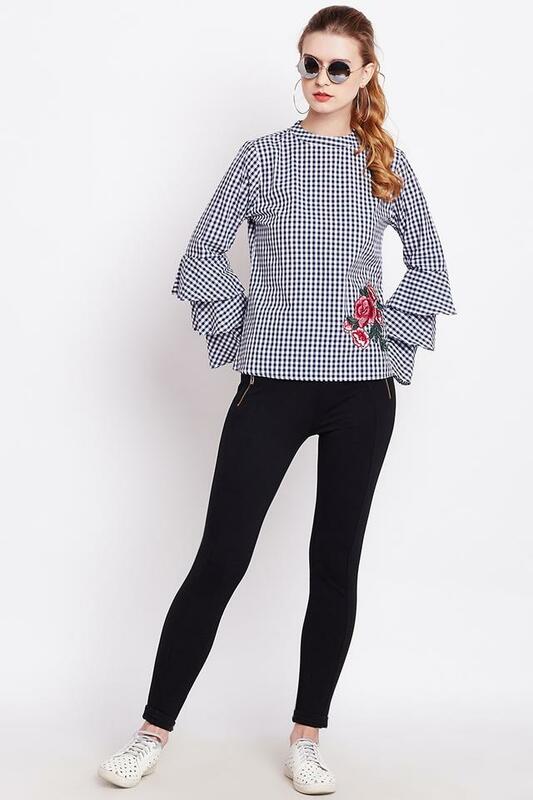 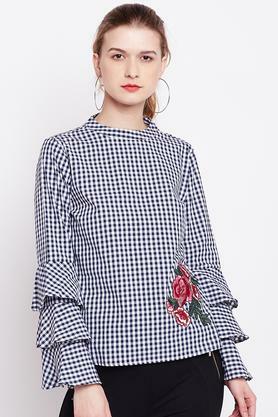 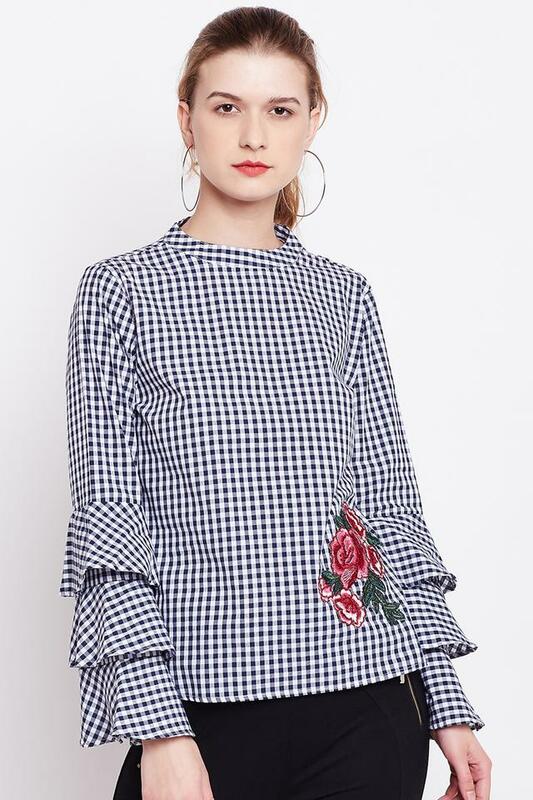 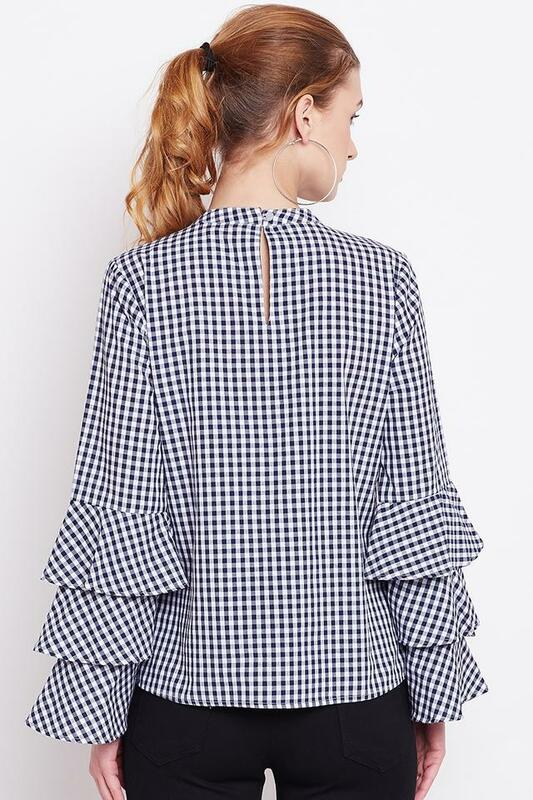 Featuring a round neck, bell sleeves and checked pattern, this top holds a superlative enchantment.